A Palestinian youth was kidnapped by the Israeli forces on Wednesday evening at a military checkpoint set up east of Occupied Jerusalem. The Israeli police said in a statement that border cops searched a vehicle driven by a Palestinian youth, in his 20s, at the Container checkpoint, pitched east of Occupied Jerusalem. The Israeli forces claimed that a rifle and ammunition were detected inside the vehicle. The young man was dragged to an Israeli detention center pending intensive questioning. Meanwhile, Israel’s Central Court in Occupied Jerusalem sentenced a Palestinian youth living in the city to 42 years in jail. The Committee of Jerusalemite Prisoners’ Families identified the youngster as 20-year-old Suheib Afana, a native of Sur Baher village, south of Occupied Jerusalem. Afana, kidnapped by the Israeli forces on October 27, 2016, is currently held in the Beer Sheba prison. Israeli occupation forces (IOF) on Wednesday evening arrested a schoolgirl from al-Nu'man village to the east of Bethlehem at Mazmuria checkpoint while she was returning from school and took her to an unknown destination. Jamal Dar'awi, the head of the Nu'man village council, said that the IOF soldiers claimed that Lina Shawawra, 16, was trying to enter her besieged village through an iron gate in the separation wall and that she had no proof that she is a resident of the village. Dar'awi added that such allegations are repeatedly used by the Israeli soldiers to crack down on the citizens of the village. Israeli Occupation Forces (IOF) arrested on Wednesday a Palestinian young man after shooting and injuring him for alleged attempt to carry out an anti-occupation stabbing attack at Gosh Etzion junction south of Bethlehem. Eyewitnesses told the PIC reporter that they saw a Palestinian youth laid on the ground near the road junction surrounded by IOF soldiers for unknown reasons or further details. Hebrew media sources said that IOF troops opened fire at the young man on suspicion if his intention to carry out a stabbing attack. He was arrested after being injured, the sources added. The family of Adnan Hamarsheh, from the town of Yabad, south of Jenin, was subjected to more than 17 arrests, including the father and the mother and their children, at the hands of the Israeli occupation forces. The Israeli occupation continued its assault on the family by arresting the youngest child in the family, Anas Hamarsheh, 17 years old, who suffers from a life-threatening disease: Osteonecrosis, which causes paralysis, in an attempt to take revenge from the family. Reem Hamarsheh, Anas’s mother, who was detained for eight months, says arresting her youngest song Anas, is the most difficult for her. The danger of Anas’s arrest didn’t only impact the health of Anas, as indicated by his father, the freed prisoner Adnan Hamarsheh, but also his own future. “Since his arrest, Anas has been transferred to the Jalameh interrogation center by the Israeli occupation. After several days in detention, the Israeli occupation extended his detention for eleven days. He is in a very tough condition now, based on my own experience in detention. His situation is contrary to the fact that he is still a child and should be at school, and not in the interrogation cells,” the father elaborated. The freed prisoner Adnan Hamarsheh expresses his fear that the scenario of his injury during detention will be repeated with his son during interrogation in the Israeli prisons. My arrest and preventing me from taking the needed medication increased my suffering. I suffered from a sight problem, a loss of balance, leaving me locked to a wheelchair until now. I am still denied the right to travel to receive medical treatment. Hamarsheh fears that the occupation would do the same to his son Anas, so that his health worsens, because the occupation knows the health consequences of depriving him of treatment. The Hamarsheh family believes that the arrest of its youngest son and its sick child, Anas, is part of the policy of the perpetual punishment of the family, by the occupying forces. The father, Adnan Hamarsheh, said that he was arrested 12 times for a total of 14 years in Israeli jails. He spent 10 years in administrative detention, without a charge or a trial. Furthermore, the house was stormed dozens of times, destroying its furniture in the process. The mother was arrested for eight months, and their eldest son Omar, 26 years old, was subjected to interrogation for one week earlier this year, and he was released later. 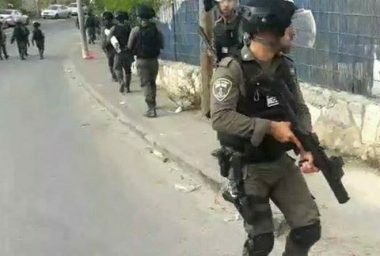 Israeli soldiers invaded, on Wednesday at dawn, the towns of Jaba’, Qabatia, and Zababda, south of the northern West Bank city of Jenin, searched many homes and abducted seven Palestinians. The Jenin office of the Palestinian Prisoners’ Society (PPS) said the soldiers abducted Lutfi Taher Malaysha, 28, Khattab Mohammad Ghannam, 20, Mo’in Nasser ‘Alawna, 20, Morad Sa’id Fashafsha, 29, Ahmad Salim Salata, 60, and Bilal Ahmad Abu ar-Rob, 26, from Jaba’ and Qabatia. 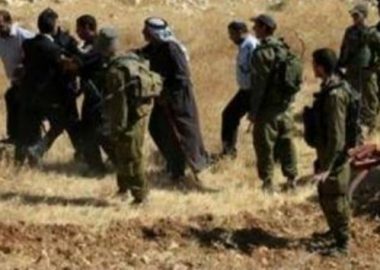 The soldiers also invaded the town of Zababda, south of Jenin, and abducted a young man, identified as Mahdi Sharqawi. 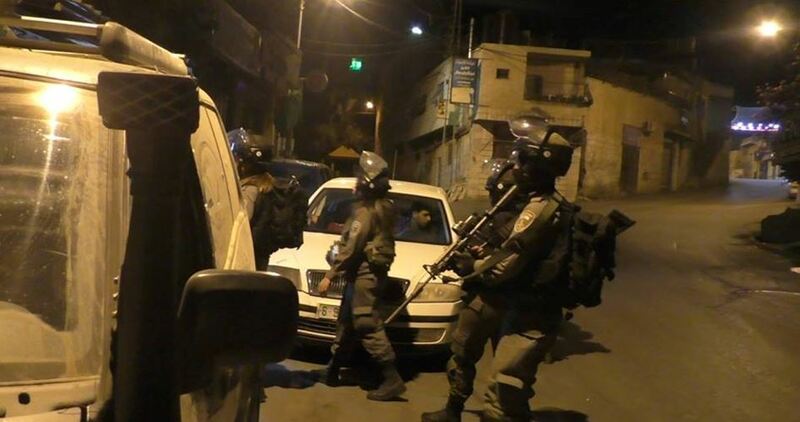 Israeli soldiers invaded, on Wednesday at dawn, dozens of Palestinian homes, in the al-Isawiya town, in the center of occupied East Jerusalem, searched them and abducted at least six Palestinians before moving them to a number of detention and interrogation centers in the city. The abducted Palestinians have been identified as Fuad al-Asmar Mustafa, Hazem Suleiman al-Asmar, Mohammad Mansour Mahmoud, Abdul-Hai Dari, Dr. Bilal Oleyyan and his brother Dr. Nidal Oleyyan. The abductions took place after the soldiers invaded the town several times, on Tuesday evening and on Wednesday at dawn, and searched many homes, including the home of lawyer Shireen al-Isawi, 39, before she was released from detention, after spending 43 months behind bars. The army removed all flags and posters welcoming Shireen, and threatened to repeatedly invade the town, the family’s home and to impose punitive measures, should the celebrations resume. Shireen was released, on Tuesday evening, just three months shy from her four-year sentence, after the Israeli High Court held a session regarding her case, and the case of her brother, Medhat, who is serving an eight-year imprisonment sentence. Israeli soldiers, and secret security officers, invaded eight media outlets, on Wednesday at dawn, in several parts of the occupied West Bank, and shut them down under direct military orders, in addition to confiscating equipment. Some of the invaded agencies are Ramsat, Trans Media and Pal Media, which the military confiscated their broadcast equipment and many machines, for providing services to Palestinian TV stations such as Al-Aqsa and Al-Quds. 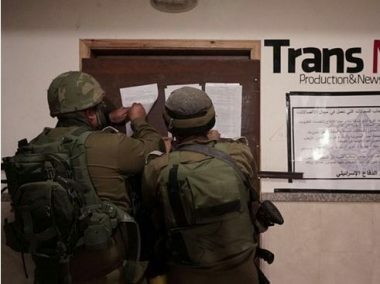 The soldiers invaded Trans Media in Nablus, in northern West Bank, and confiscated its equipment, before presenting a military order shutting it down for six months. Many local youngsters hurled stones at the invading soldiers, who fired live rounds, rubber-coated steel bullets and gas bombs, leading to several injuries. The soldiers also invaded the offices of Al-Quds TV, Al-Aqsa TV, Palestine Today, Trans Media and Pal Media, in the southern West Bank city of Hebron, violently searched them and confiscated their equipment, before shutting them down for six months. In addition, the soldiers abducted Amer al-Ja’bari, the director of Trans Media, and his brother Ibrahim. In Bethlehem, the soldiers invaded Pal Media offices, in the al-Karkafa area, and confiscated their equipment, before shutting them down for six months. The Israeli Occupation Forces (IOF) arrested a Palestinian young man from Jalzoun refugee camp near Ramallah for allegedly planning to carry out an anti-occupation attack. The young man was detained after he posted a farewell message on his Facebook account, raising suspicious over his intention to carry out anti-occupation attack. The detainee was taken for investigation. The Israeli Occupation Authorities (IOA) released Tuesday evening the Palestinian lawyer and activist Shireen Issawi, 39, after spending 43 months behind Israeli bars. 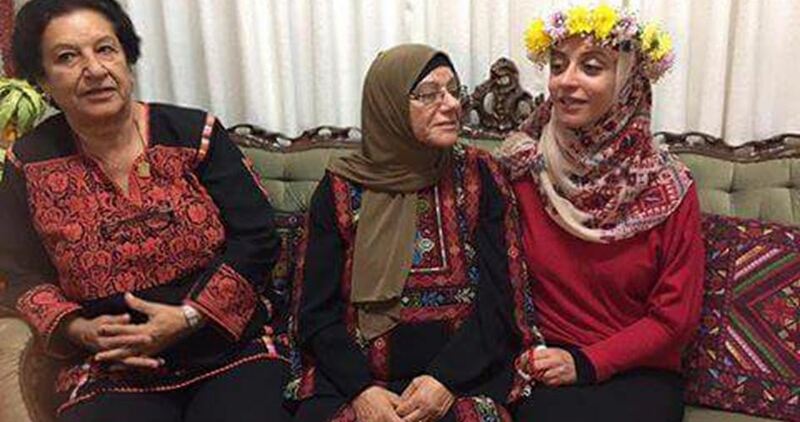 Shireen was freed after Israeli Supreme court reduced her 48-month sentence to 45 months. Her brother Medhat, sentenced to eight years, is also scheduled to be brought before court in the coming days. The two were accused of passing information and transferring funds between prisoners and political organisations banned by Israeli occupation authorities. The Issawis are themselves not strangers to imprisonment. Shireen and Medhat were arrested more than once in Israeli jails. 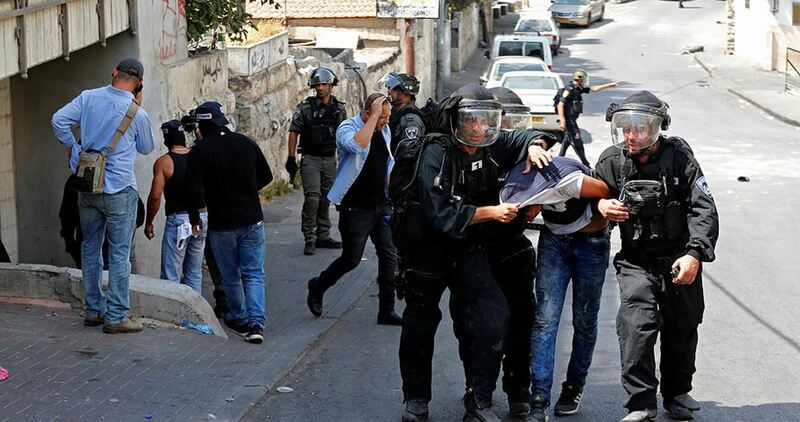 A Palestinian youth was arrested on Tuesday evening by undercover Israeli policemen during the clashes that erupted in al-Isawiya town to the northeast of Occupied Jerusalem. According to Quds Press, violent clashes broke out between the Israeli police and Palestinian youths during which stones and Molotov cocktails were thrown. It added that the Israeli police heavily and randomly fired sound bombs, tear gas canisters, and rubber and live bullets at the Palestinian youths and used the rooftops of the Palestinian citizens' houses as lookouts. The Jerusalemite activist Yousuf Obeid said that an undercover Israeli unit accompanied the Israeli police forces who stormed al-Isawiya town and arrested a Palestinian youth, pointing out that there is no news yet whether the young man was shot or not. The Palestinian Prisoners’ Society (PPS) has reported that Israeli soldiers abducted, overnight and at dawn, Tuesday, many homes in various communities in the occupied West Bank, and abducted eighteen Palestinians. 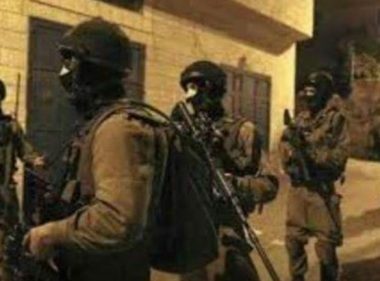 The Hebron office of the PPS, in the southern part of the occupied West Bank, said the soldiers invaded many homes in several parts of the governorate, and abducted five Palestinians, identified as Yousef ‘Ayed Faqeeh, Hamza Ali Awad, 21, Amin Emad Sleibi, 15, Khaled Raed Bahar and Odai Natsha. In Jerusalem, the soldiers abducted three Palestinians, identified as Mohammad Jamal Abu Kaf, Mansour Eslayyim and Salah Sharifa. 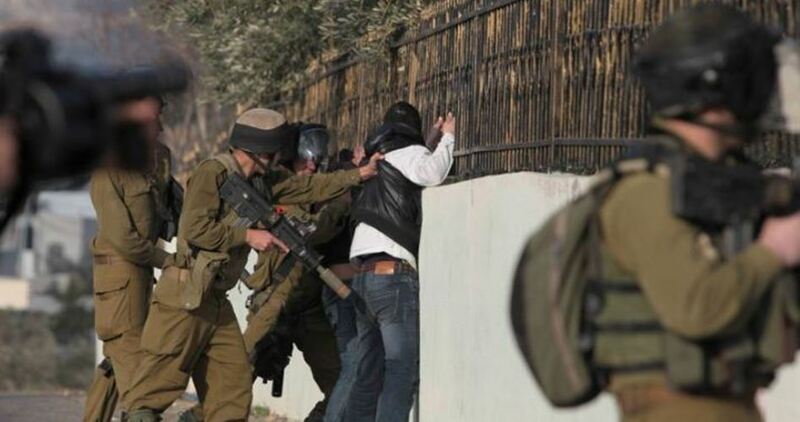 In Bethlehem, the soldiers abducted Morad al-Khmour, Khaled al-Masri and Salah al-Hreimi. Furthermore, the soldiers abducted ‘Assem Abu al-Haija, 22, ‘Ala Houshiyya and Naseem Farhat, in the northern West Bank governorate of Jenin. Two Palestinians, identified as Samer Ibrahim as-Sidda, 22, and Kamal Abed ‘Amer, 21, were abducted from their homes in Nablus, in northern West Bank. In addition, the soldiers abducted Mohammad Mustafa Nofal, 19, from Qalqilia, in northern West Bank, and Abdul-Rahman al-Jalees, from Ramallah, in central West Bank. Israeli soldiers abducted, on Tuesday at dawn, nine Palestinians from their homes, in different parts of the occupied West Bank, the Palestinian Prisoners’ Society (PPS) has reported. The Hebron office of the PPS, in the southern part of the West Bank, said the soldiers invaded Doura and Beit Ummar towns, searched many homes and abducted three Palestinians, identified as Hamza Ali Awad, 21, and Amin Emad Sleibi, 15, from Beit Ummar, in addition to Yousef ‘Ayed al-Faqeeh, 21, from Doura. It added that the soldiers detonated the main doors of the homes of the abducted Palestinians, before searching and ransacking them. 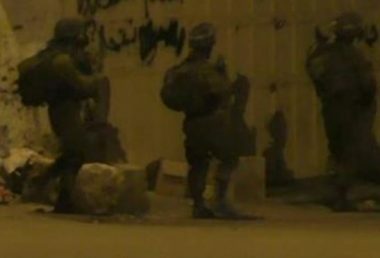 The soldiers also invaded and searched a gas station in ‘Aseeda area, in the center of Beit Ummar. 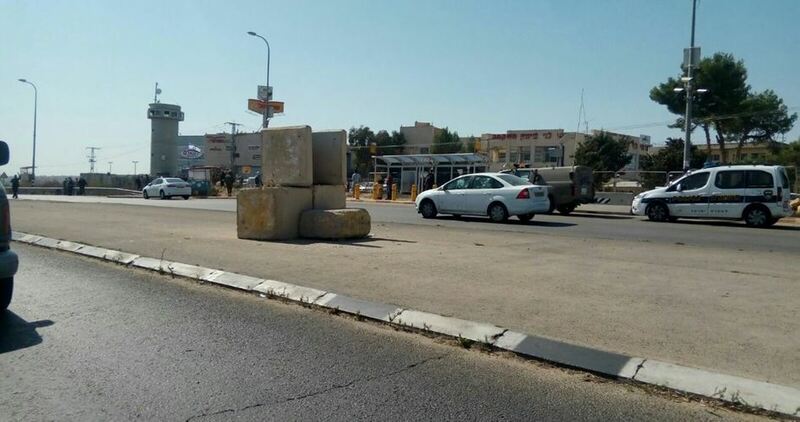 Furthermore, the soldiers installed many roadblocks on main roads in the Hebron governorate, before stopping and searching dozens of cars, and interrogated many Palestinians while inspecting their ID cards. 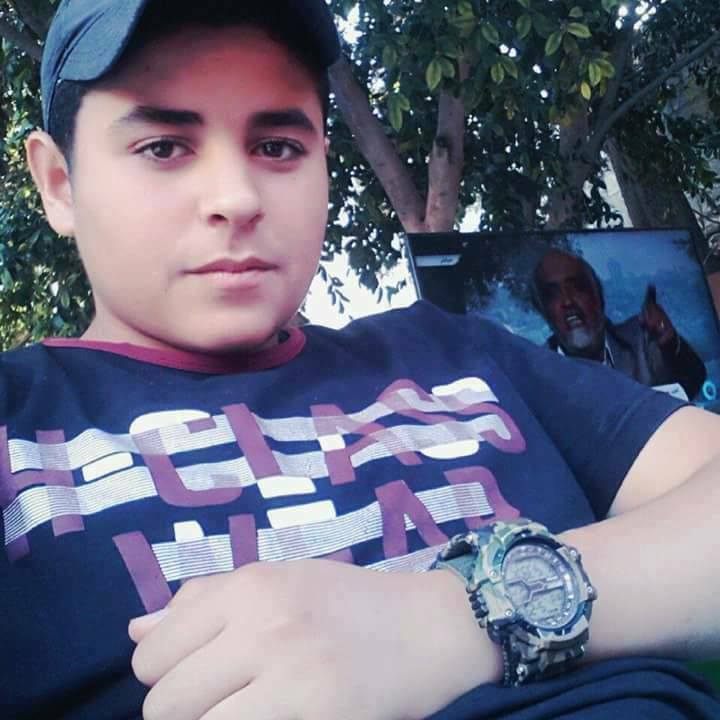 In Bethlehem, the soldiers invaded and searched homes, and abducted Saleh Amin al-Hreimi, 18, from Khalayel al-Louz area, in addition to Morad Mousa al-Khmour, 19, and Nabil Akram Fararja, 27, from Deheishe refugee camp, south of the city. The soldiers also invaded the home of Adel Daoud Sha’er, to abduct his son, but could not locate him, and searched the property along with several nearby homes. 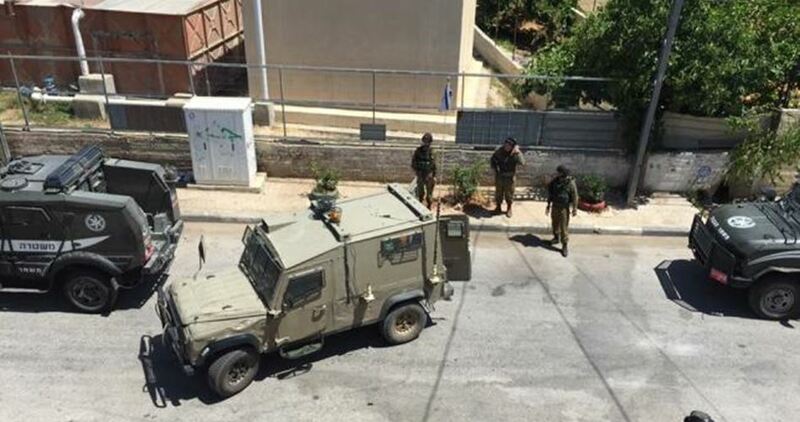 In related news, the soldiers invaded al-Yamoun town, west of the northern West Bank city of Jenin, and abducted ‘Ala Ahmad Houshiyya, 30, in addition to a former political prisoner, identified as ‘Assem Jamal Abu al-Haija, from Jenin refugee camp. Clashes took place around Jenin governmental hospital, after the soldiers invaded homes in the area, and interrogated many Palestinians. 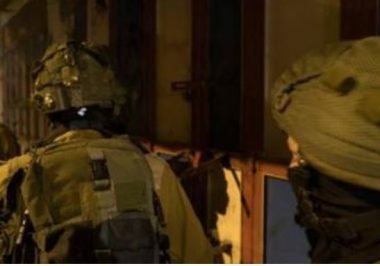 In addition, the soldiers invaded al-Hisba Street, east of the northern West Bank city of Nablus, searched homes and abducted Samer Ibrahim as-Sidda, 22. The Israeli occupation authorities sentenced the Palestinian woman Khadija al-Raba’i, mother of five children, administratively, with neither charge nor trial. Prisoner al-Raba’i, aged 30, was transferred from the Israeli HaSharon jail to Ofer court to attend a court hearing. However, the trial did not take place and the detainee was sent to prison without charges. A court hearing is expected to be held on October 22 to confirm the administrative sentence. The Israeli occupation forces kidnapped al-Raba’i on October 10, 2017, from her home in al-Khalil’s eastern town of Yatta and stole 30,000 shekels from the building. Five Palestinian women, among them al-Raba’i, are held administratively in Israeli jails. The list also includes MP Khalida Jarrar, serving a four-month sentence without trial, and the head of Women’s Committees Union, Khitam al-Sa’afeen, sentenced administratively to three months. Over 84 Palestinian women and girls were kidnapped by the occupation forces since the start of 2017. 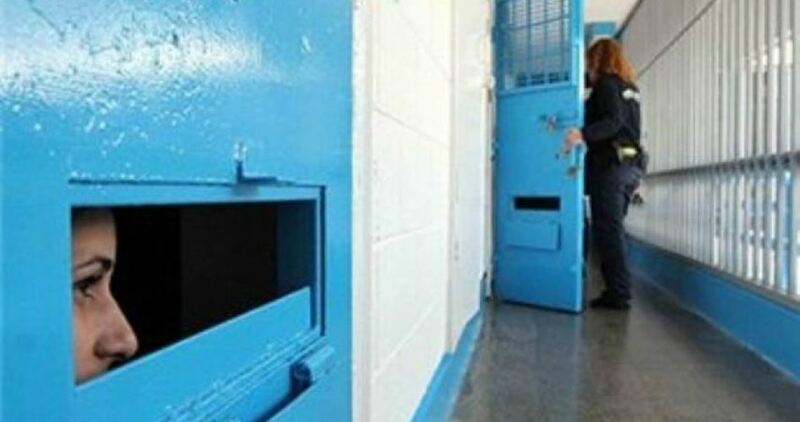 According to official records, until October month, 58 Palestinian female detainees are held behind Israeli prison bars. Several Palestinians were kidnapped by the Israeli occupation forces (IOF) at predawn on Tuesday in abduction sweeps rocking West Bank provinces. Clashes flared up shortly after dozens of Israeli soldiers broke into Jenin refugee camp and ransacked civilian homes. The IOF set up ambushes and deployed snipers on the rooftops of Palestinian homes, triggering panic in the area. Sounds of heavy explosions and incessant bullet fire were spotted all the way through the clashes. Four Palestinian young men were kidnapped in the assault. 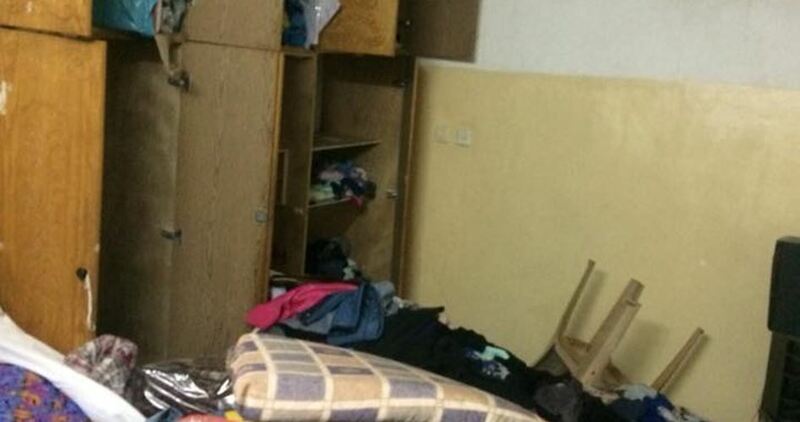 The occupation soldiers also kidnapped Assem Abu al-Heija after they stormed his family home and wreaked havoc on it. 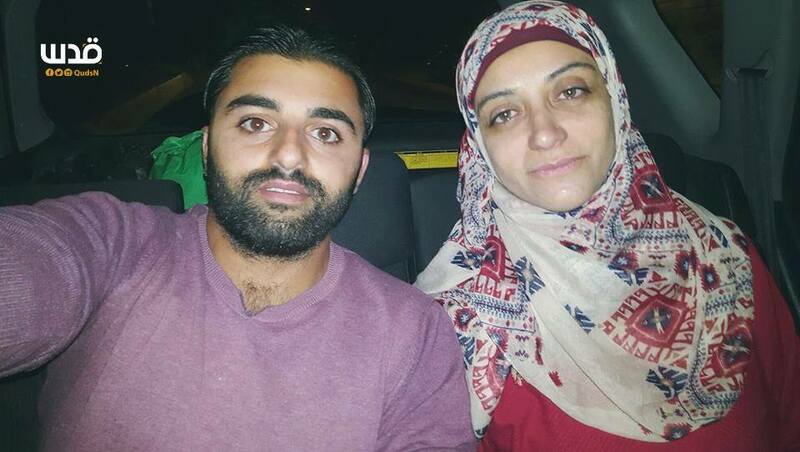 Assem was released just one month earlier from Israeli jails. At the same time, the IOF stormed al-Yamon town, west of Jenin, and kidnapped the ex-prisoner Alaa Houshiya from his home. The occupation army further broke into Nablus’s southern town of Kafr Kalil and ravaged civilian homes before they kidnapped a Palestinian youth—Samer al-Seda—from an auto inspection station. Palestinian young man Abdulrahman al-Jleis was also kidnapped by the IOF from al-Jalazoun refugee camp, north of Ramallah, on account of a Facebook post in which he extended condolences to his friend over the death of a relative. The IOF claimed al-Jleis was intending to carry out an anti-occupation attack. The campaign culminated in the abduction of several Palestinian youths from the southern occupied West Bank provinces of Bethlehem and al-Khalil, along with another youth from Qalqilya, in the northern West Bank.